Can you believe Halloween is almost here? If you’re anything like me, you want to take advantage of all of the Fort Lauderdale area’s Halloween events. Check out our lists below for some ideas! Don’t forget to click the links below each activity to get more information on the locations and learn of any changes in details. You can’t have Halloween without a pumpkin. 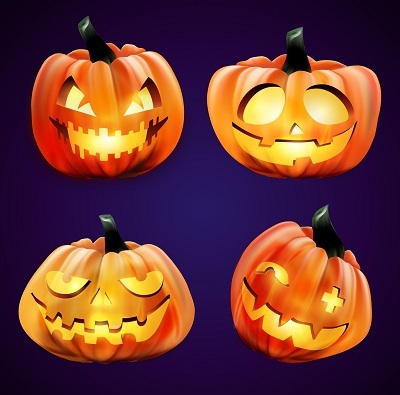 You can paint it, carve it (click this link for some fun carving stencils http://www.pumpkinpile.com/index.html ) or simply place it on your front porch. Below we’ve listed some Fort Lauderdale area pumpkin patches. Don’t forget your camera!! Visit and select a pumpkin for your family. Visit the pumpkin patch and haunted house. Jump in the bounce houses, explore the petting farm, and hop on a hayride. We have a costume contest and food vendors, too. Children’s costume contest begins at 4:00 pm for ages up to 12 years old. Awards will be given for spookiest, cutest and most original costumes. Visit our pumpkin patch. Also join us for a variety of children’s activities including crafts and hayrides. Let’s face it, Halloween is practically synonymous with trick-or-treating and a bag full of sweet treats. When those fun-sized candy bars and candy corn appear in stores, my mouth starts to water! Door-to-door trick or treating in your home neighborhood is so much fun, but there are other opportunities as well. Check them out! The Shops at Pembroke Gardens (October 21st, 2-4pm) Join us for mall-wide trick-or-treating, character selfies, kids crafts and a pumpkin patch. Halloween games, activities and crafts. Trick-or-treat through the forest. Join us for a costume parade, trick-or-treating and a live show. Costume contests, hayrides and festivals complete the Halloween season. Gather your family and check out some of these innovative and interesting activities. Harvest Festival at Flamingo Gardens (Oct. 21 & 22, 28 & 29, 9:30am to 4:00pm, admission is $19.95 ages 12 and up/ $12.95 ages 3-11. Children 2 and under, as well as members of Flamingo Gardens, enter free. Narrated Tram Tour is included.) Activities include hayrides (10am to 4pm), a pumpkin patch and decorating station, theme costume contests, scarecrows throughout the gardens, bounce houses, live character interactions, DJ Digital Anarchy spinning your favorite songs, games, and fall crafts and activities for the whole family. Each weekend features a special theme. October 21 & 22- Superheroes Weekend.Ironman will be here! Stop by meet him and many other superheroes! There will be contests and games as well. October 29 & 30- Halloween Story Time Weekend.Participate in story time, see a haunted house, visit Professor Feeney’s Cabinet of Curiosities, and go trick-or-treating. Is it Haunted? (October 27th 7 PM – 9 PM, last entry into the museum is 8:15pm, $10 per person, limited availability) Explore the 1918 Davie School, 1912 Viele House & Pioneer Home by flashlight! Fun event for the family! 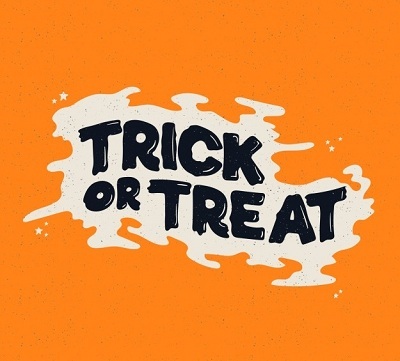 Costume Contest and Goodie Gathering (October 28th 10:00am –noon, no charge) Contest Times: Ages 1 under/10:10, 2 years/10:20, 3 years/10:30, pre-k/10:40, Kindergarten/10:50, 1st/11:00, 2nd /11:10, 3rd/11:20, 4th/11:30, 5th/11:40, Middle School/11:45. Arrive 5 minutes early to receive a contest number. All children must be accompanied by an adult. Join us for our costume contest. Enjoy rides, visit our pumpkin patch, stop by the trick-or-treat stations and participate in other fun Halloween activities. Join us for a variety of children’s holiday activities including costume contests, hayrides, the pumpkin patch and petting zoo. Participate in our safety activities including fingerprinting and meet our K-9 unit. Other safety activities will be present as well. Stop by and enjoy kid’s crafts, hayrides, BBQ, harvest market, live music and our pumpkin patch!